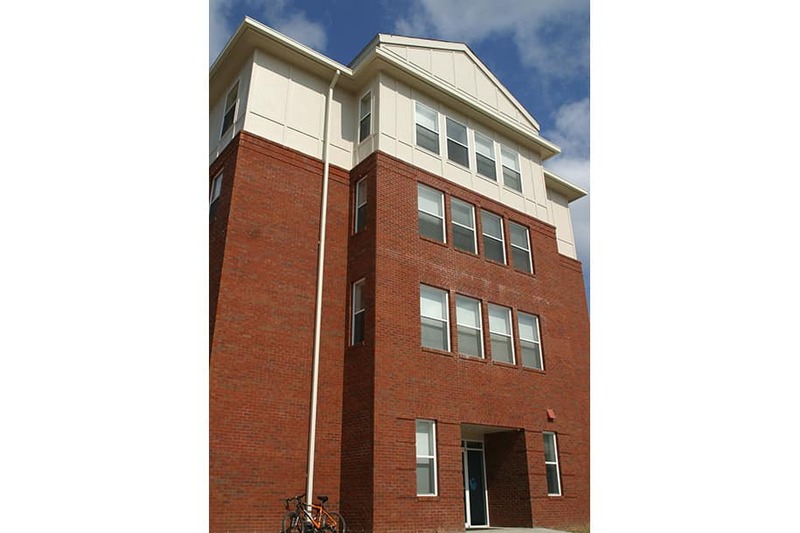 Built as the ideal freshman residential facility, Eagle Village combines private bedrooms that students enjoy with many opportunities for community development through shared lounges, floor kitchens, and the 4-unit apartment cluster that provides students with the ability to meet and connect with other freshmen students. 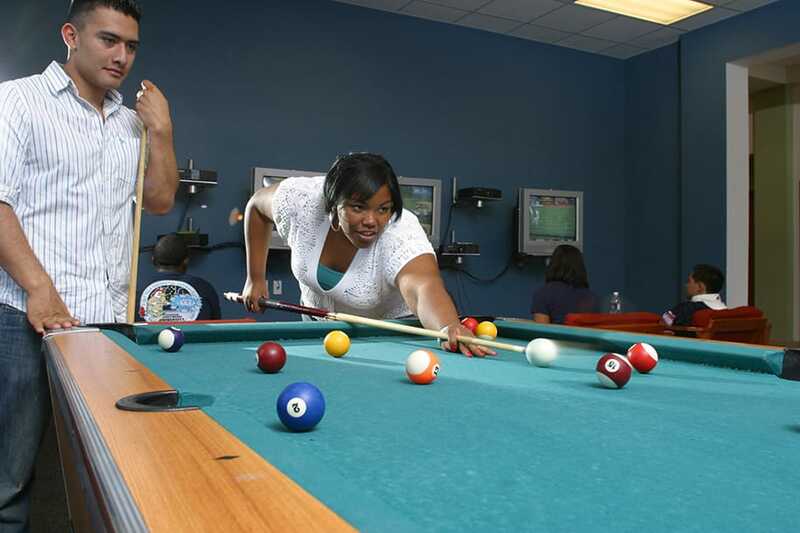 A shared clubhouse provides students with a computer lab, classrooms and programming space for social and educational events sponsored by the residence hall staff. 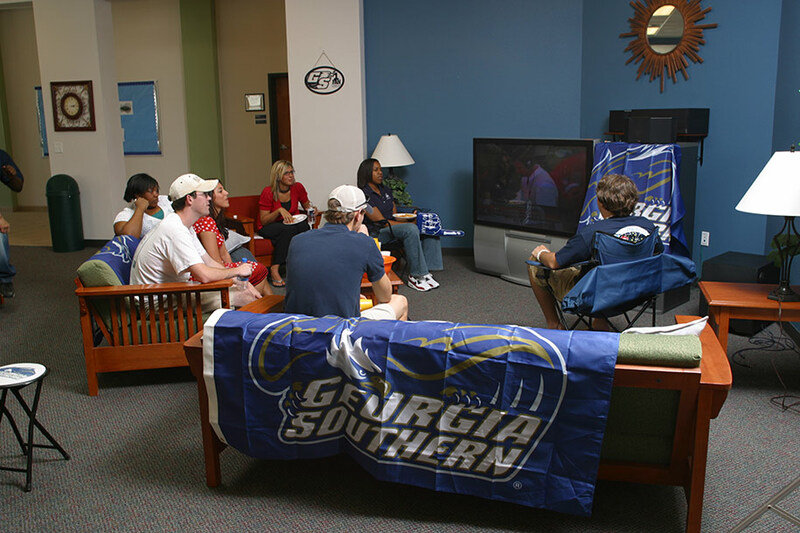 This project arose as part of the University’s ongoing campaign to increase on-campus student housing facilities on its campus located in Statesboro, Georgia. 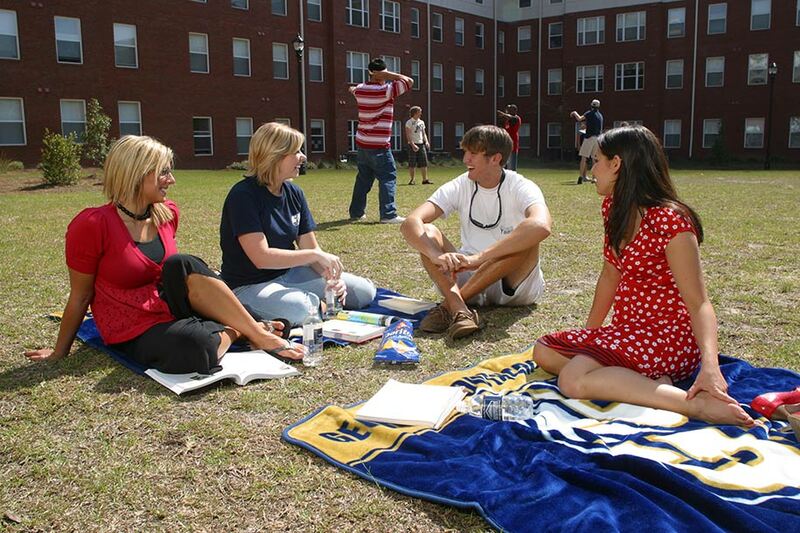 As of 2005, all incoming freshmen were required to live in on-campus housing. The complex consists of a 3-story, 798-bed facility – each single living unit containing a 4-bedroom, 2-bath deluxe suite with a small living area and kitchenette. Also included in the complex were common public spaces, 2 classrooms, a computer lab, laundry facilities, a University police substation, a multipurpose room, a recreational room and a food service unit with a retail shop. 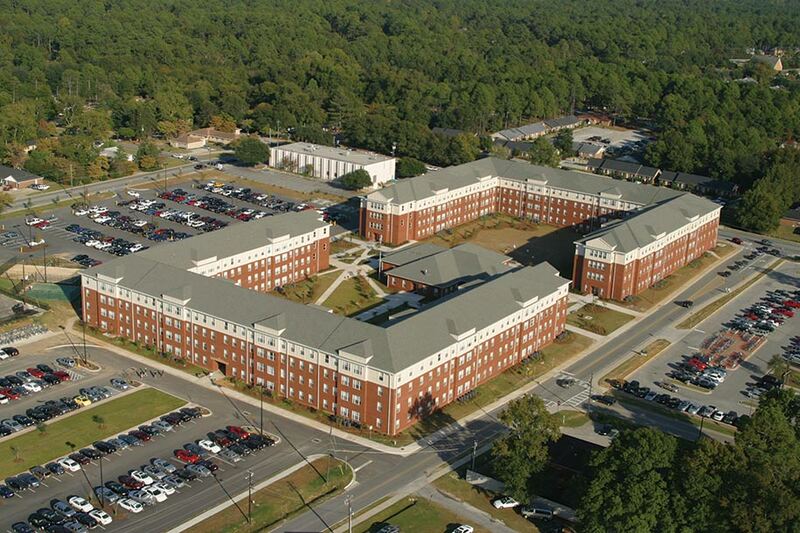 As a subconsultant to Little Diversified Architectural Consulting, Hussy Gay Bell provided civil engineering and architectural construction administration services. 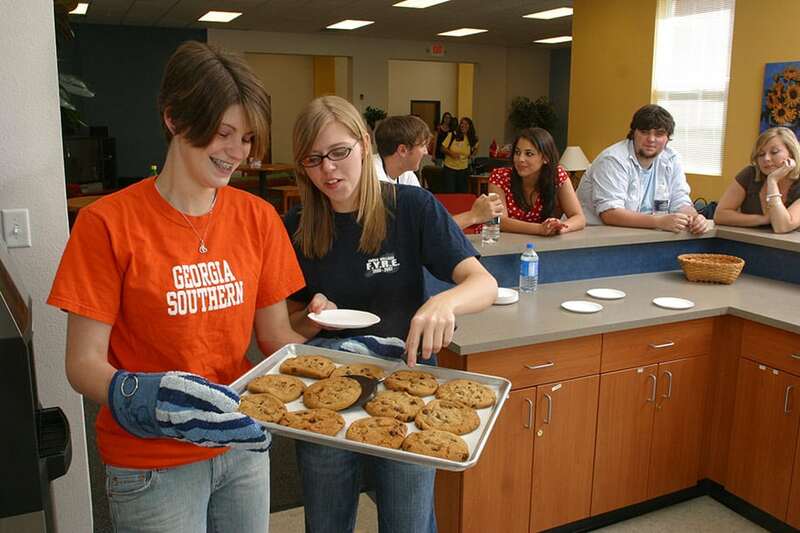 Completed in 2005, the $20M Eagle Village opened its doors to 798 freshmen in 2006. The Design-Bid-Build facility offers students independence and a community amongst peers with suite-style living accommodations, while providing them with on-campus housing and resources.